Pioneer in the industry, we are engaged in offering an impeccable range of Horizontal Paper Baling Machine. Our adept professionals only high grade component and modern technology is used while manufacturing this baling machine. 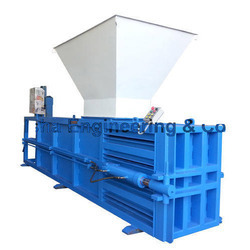 Designed for paper, fabric and leather industries, offered baling machine is strictly tested on various parameters to assure it on counts of durability. Clients can avail this baling machine from us at nominal prices. Our organization has gained recognition as the affluent provider of a qualitative range of Horizontal Paper Compactor. Used in various industries, offered compactor is manufactured by our adept professionals using quality assured components and progressive technology. 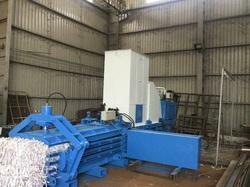 We guarantee our clients that this compactor is tested on various parameters in order to meet industry standards. We provide this compactor at market leading prices and within the stipulated time. Looking for HYDRAULIC PAPER COMPACTOR ?